It’s the ultimate duel – your aerial/antenna vs. the weather. Who’s going to win? Well, it depends on a lot of factors – like the kind of extreme weather, how professionally your aerial/antenna has been installed, and how much your technician has considered local weather patterns. So, let’s talk a little more about what your local weather might look like and how you can best prepare your aerial/antenna to give it a fair match, even in the most extreme conditions. That way, you’ll still be able to catch the big game or the next episode of MAFS from the comfort of your home, no matter what the weather’s doing. Weather Report – What Weather Should You Plan For? We’re going to outline some of the extreme weather conditions that Australia can experience. Each of these central regions are areas that we serve so we can help you prepare your aerial/antenna for whatever the Australian weather will throw at you. Close proximity to the ocean keeps summer and winter relatively mild in Sydney and Wollongong. But there can be extreme days – on January 7, 2018, Sydney was the hottest place on earth. Sydney tends to get severe hailstorms, strong winds, and flash flooding during storm season. The Blue Mountains, about an hour outside of Sydney, tends to get snow a few times each year. Read about TV antenna installation in Sydney. Melbourne is famous for its extreme weather and changeable conditions – “four seasons in a day”. Because of Melbourne’s unique location, it gets intense desert heat from the west, as well as cold southerly winds from the southern ocean. Extreme weather to expect in Melbourne includes strong gales and the occasional (albeit brief) heatwave. Snow doesn’t tend to fall in Melbourne, although nearby alpine regions (like Falls Creek and Mt Buller) often get significant snowfall during the winter months. Adelaide experiences a distinct summer and winter, with hot, dry summers, and cool winters (that can come with a significant wind chill factor). Adelaide occasionally experiences storms (both the regular kind and the dust kind), causing strong winds and destruction to homes. On average, Brisbane experiences more mild temperature ranges than other cities in Australia, although it does have a hotter average. 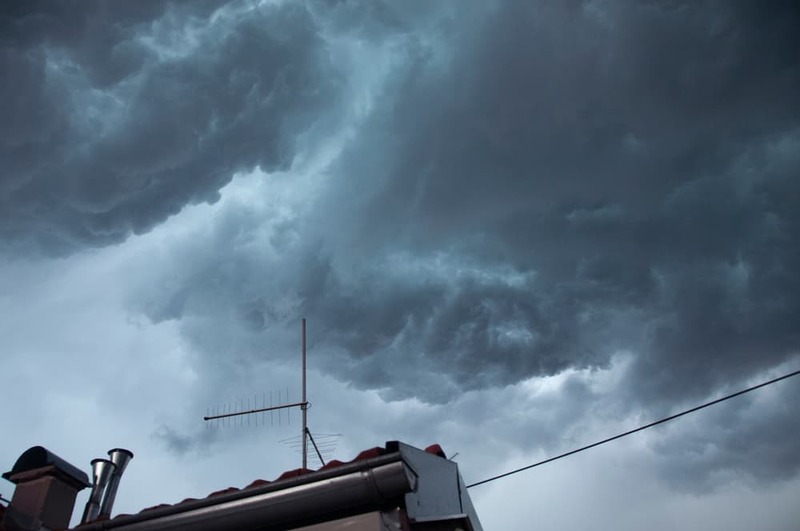 Thanks to high levels of humidity, storms are extremely common in Brisbane, particularly during the summer months, with large hail, strong winds, lightning, and heavy rain often leading to flash flooding. Brisbane occasionally experiences cyclones, although these more often impact the northern end of the state. The Sunshine Coast and Gold Coast (both within about 1 hour of Brisbane) offer similar conditions, with milder temperatures thanks to their proximity to the ocean. With cool, wet winters and hot, dry summers, Perth gets a mix of weather throughout the year. Perth will sometimes see tropical cyclones, although it’s more common for them to impact the northern end of the state. Brief thunderstorms (and the effects of cyclones) can bring heavy rain and even flooding. Snow has been recorded in the outer Perth Hills suburbs, but not for over 50 years. Canberra sees extreme differences in weather and temperature through the seasons, with hot summers and cold winters. In winter, Canberrians will often wake up to frost, and surrounding mountain areas get snowfall each year. Canberra tends to get thunderstorms between October and April, but the area isn’t prone to strong winds or high rainfall. Now that we’ve covered extreme weather you can expect around Australia, let’s talk about what you can do about it. Depending on your location, one or all the following may be relevant to you. So, pick and choose the weather issues you’re likely to deal with, then check out our tips to help prepare your aerial/antenna and avoid damage to your TV connection. In heavy rain, you’ll find out exactly how waterproof your home is (including your antenna systems). You’ll need waterproof sealants to protect your home at any point where a cable goes from outside to inside. A professional aerial/antenna installation will ensure your entry points are all waterproofed. If you live in a climate that gets a lot of precipitation or salty ocean spray, you might find your aerial/antenna is prone to rust. Over time, salty spray, rain, snow, and frost can wear your antenna out and decrease its quality. Your technician may be able to repair your old rusted antenna by removing rust then repainting. And if they know you’re in an area that’s prone to rusted antennas, they’ll recommend a stainless-steel aerial/antenna and stainless-steel mast. Aside from signal issues, strong winds can cause permanent damage to your antenna, especially if neighbouring trees or branches get blown onto your roof. If your antenna is dislodged or broken, it’ll need a professional antenna repair or replacement to get it working again. In Australia, hailstorms range from the barely detectable (under 1cm diameter balls), to epic golf ball sized stones and up. Usually, a minor hailstorm isn’t anything to worry about. But if you experience the latter kind and struggle to get good reception (or any reception) afterwards, you’ve probably got a hail damaged aerial/antenna. Satellite antennas are the most likely type of antenna to experience major damage, like holes and shredded panels. If this happens to you, you’ll probably need a replacement. But if you’ve got the more common directional antennas (with metal prongs spaced along a metal pole), you might just need your antenna realigned and some minor repairs. If you’ve got a high-quality aerial/antenna, it should be better able to withstand hailstorms. On hot days, cold air (higher up) can trap hot air, resulting in layers that mirror TV signals back towards either, sometimes causing signals to overlap. This can result in interference. Unfortunately, there’s nothing you (or your technician) can do about this, as it’s beyond anyone’s control – it’s just how the technology works. Everything should go back to normal once the weather cools down. During heavy snowfall, you may experience worse reception, because it can weaken the signal transmission. But snow can also damage and dislodge your aerial/antenna – misaligning it or bending it so it’s unable to pick up a proper signal. Icicles can also cause issues. If you know your area is prone to heavy snow, choosing an aerial/antenna with a thinner profile will stop snow from building up on your antenna. And a strong mast made from high–quality materials will survive blizzards if it’s properly anchored. If you’re unlucky enough to get a direct (or sometimes indirect) lightning strike to your aerial/antenna, it’s unlikely that it will work again. Such a high voltage hit will also fry your cabling (even if it looks okay from the outside), meaning it’ll all need replacing. There’s not a lot you can do to prevent lightning strikes, but you can at least protect your TV with a plug-in surge protector. You should always get a professional to do your initial aerial/antenna installation. It’s the best way to minimise your chances of experiencing problems down the track, including weather-related damage. A professional will be familiar with your local environment and weather conditions. They’ll have go-to equipment, techniques, and products that they’ve used again and again in your local area. They know what works and see a lot of what doesn’t work (thanks to repair jobs and emergency callouts). When you hire a professional, you won’t have to think about any of the above issues – they’ll just take care of it. Whether you need your new aerial/antenna installed properly to minimise the risk of damage, or you need an antenna repair after a local weather event, we can help! Call our friendly service team on 1300 800 123 for a free quote or to book in your aerial/antenna service today.